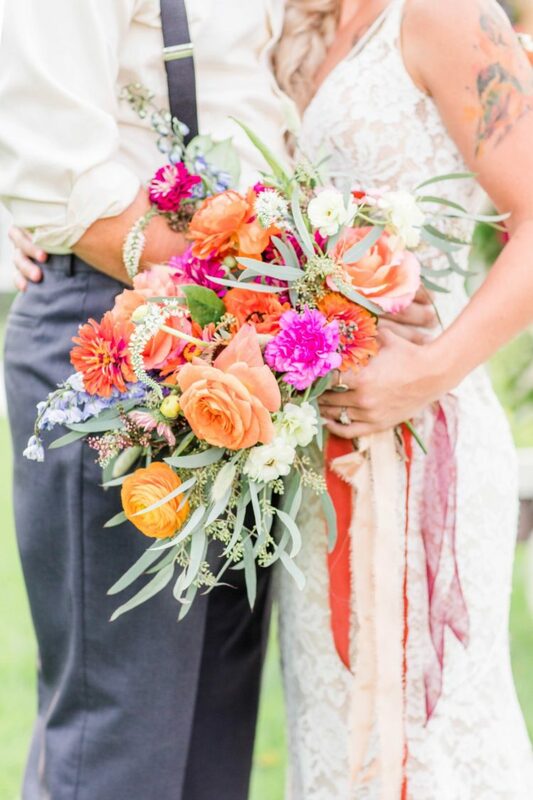 Today’s wedding photo shoot is inspired by wildflowers and features a vibrant color palette with pops of orange and magenta lush florals. Let’s take a look to get inspired! 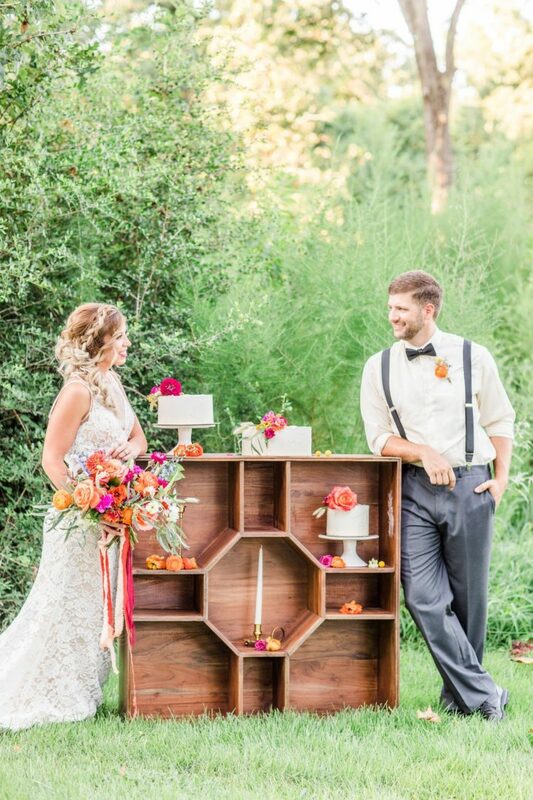 This creative team went for a rustic bohemian theme. 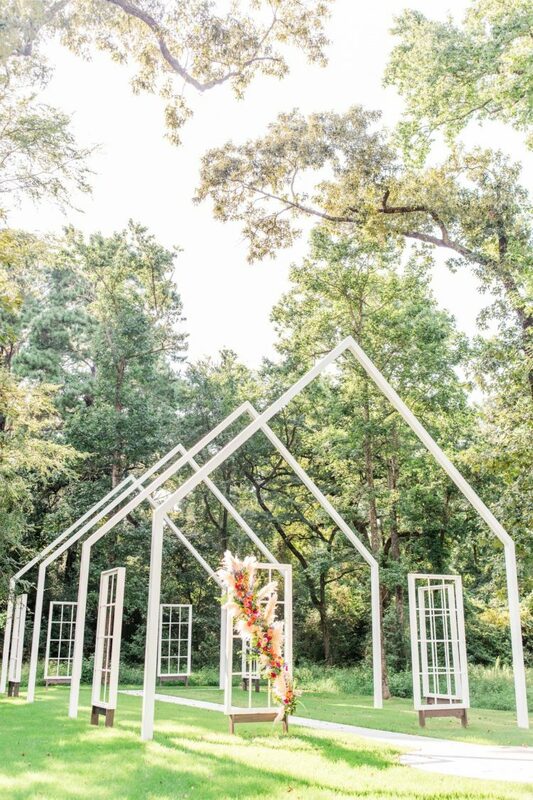 Created by a team of photographers, this wedding venue offers an organic and picturesque ceremony area with floating windows and an open-air chapel unlike no other. 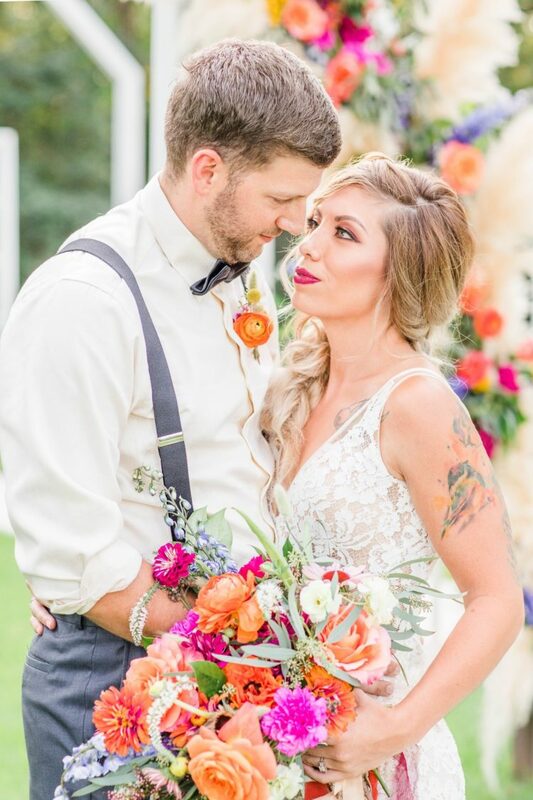 Its charming 1830’s reconstructed barn is perfect for a couple looking for an elegant outdoor and indoor setting to host their big day. 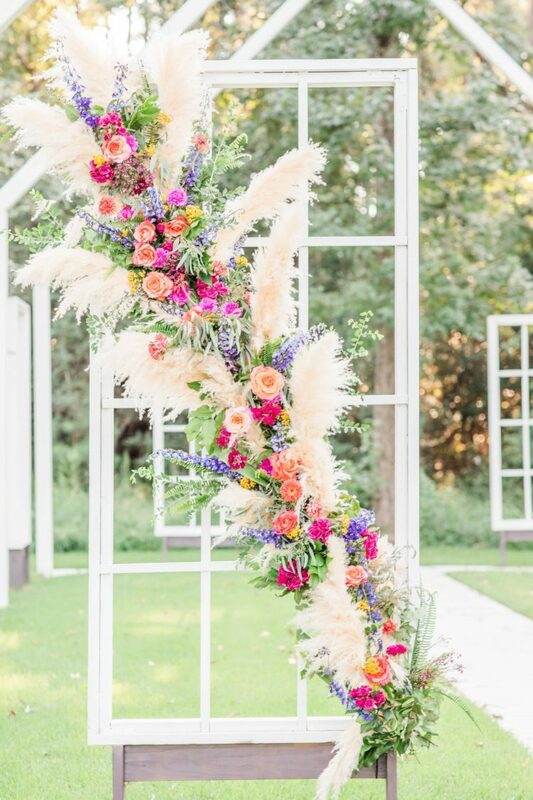 The wedding shoot was filled with super bold florals: orange, pink, blush, purple, red and with pampas grass for a trendy touch. 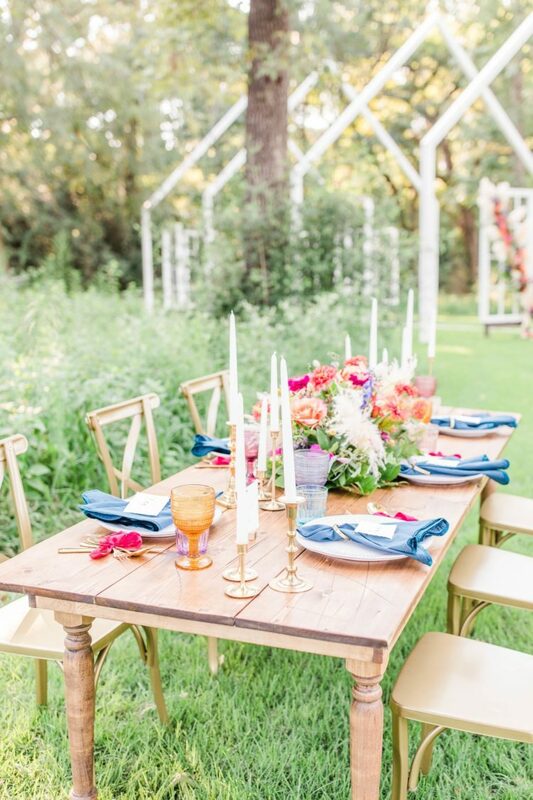 The bright and chic table setting was the perfect touch of rustic which added an elegant vibe to the shoot. 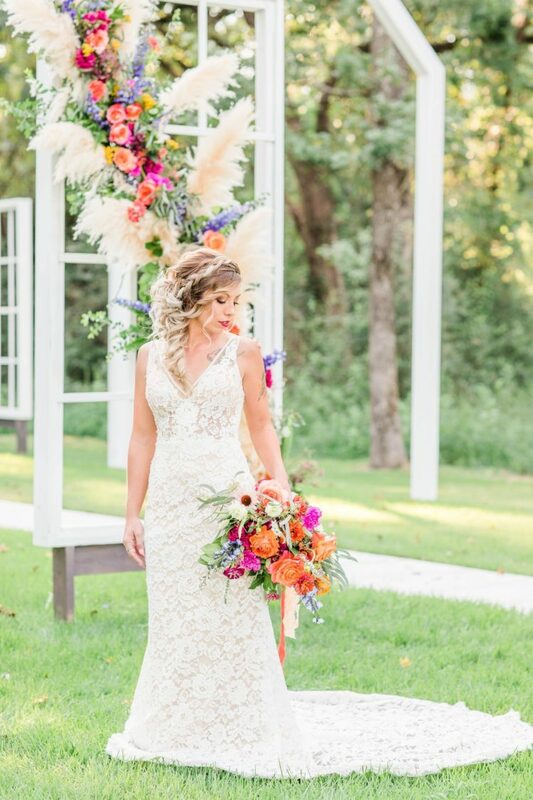 It was styled with bright florals, colored glasses and bold textiles plus gilded touches for an elegant feel. 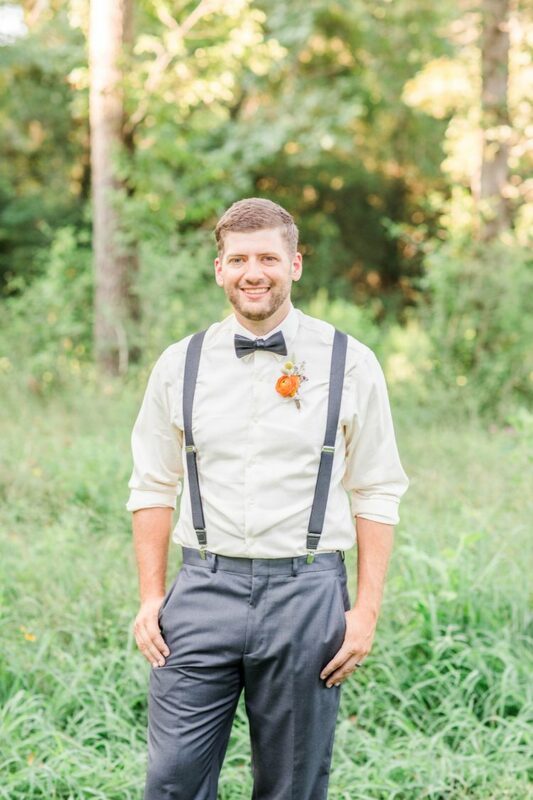 The groom was wearing a relaxed vintage outfit with grey pants and suspenders and an ivory shirt. 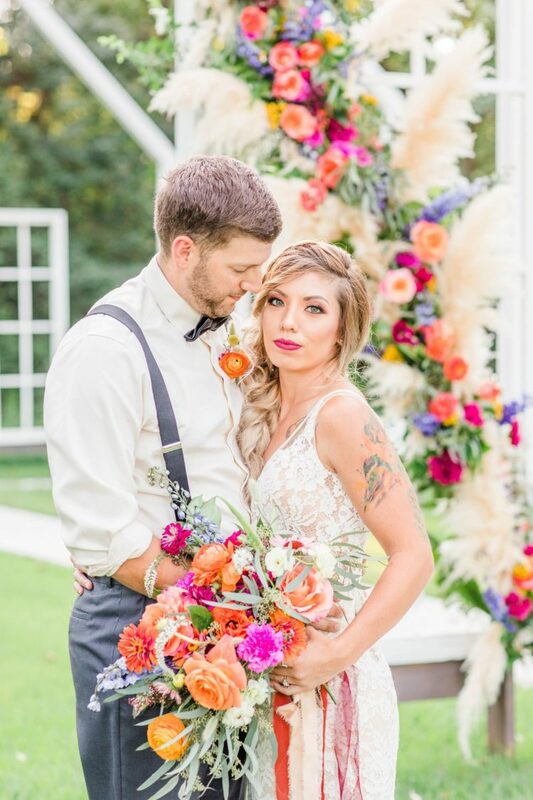 The bride was wearing a lace sheath wedding gown with thick straps and a V-neckline, her hair was wavy with a braided halo and she was rocking a berry lip. She was showing off her watercolor tattoos. 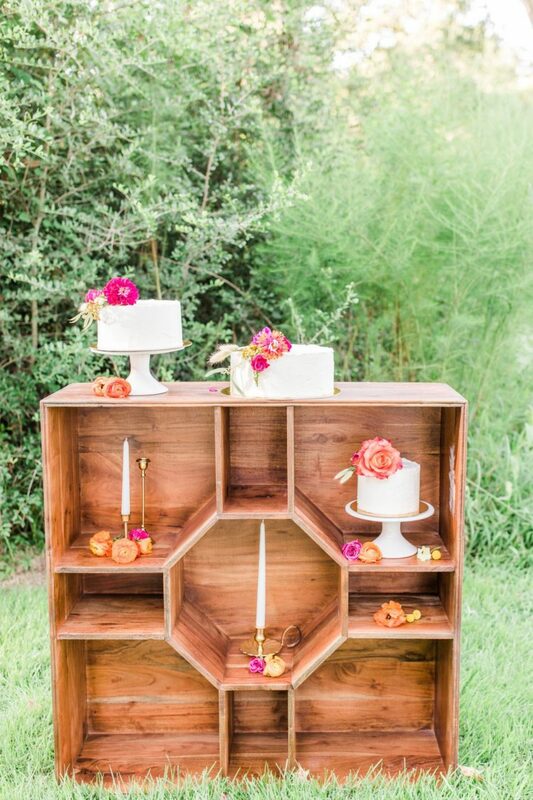 The wedding cake bar was an open storage piece with several white buttercream wedding cakes topped with bright flowers. 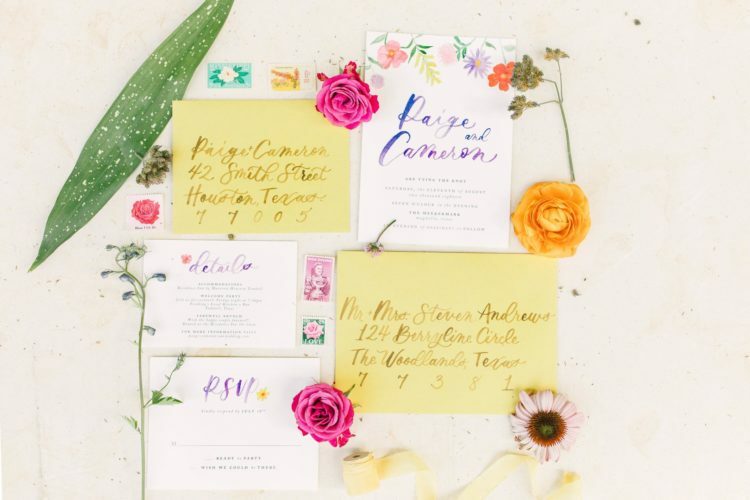 Take a look at this colorful wedding shoot below and pin some ideas for yourself!